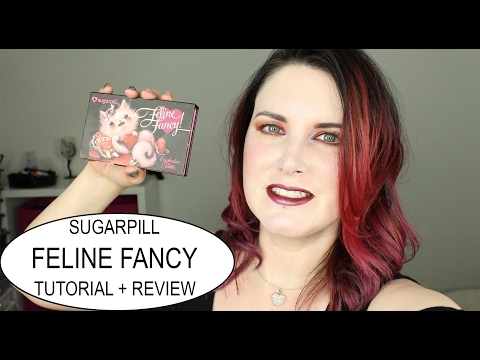 Today I’m sharing my Sugarpill Feline Fancy Review and Tutorial with you. 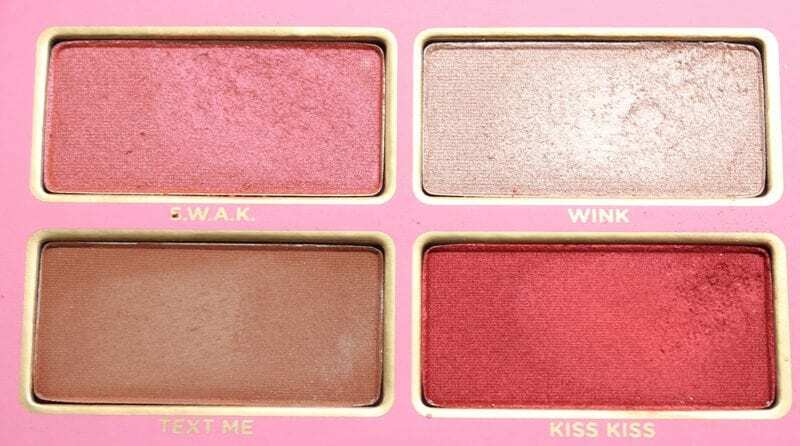 The Valentine’s Day Fancy Feline limited edition palette is so adorable. It’s 100% vegan too. Don’t ever let anyone tell you that they can’t make reds vegan. 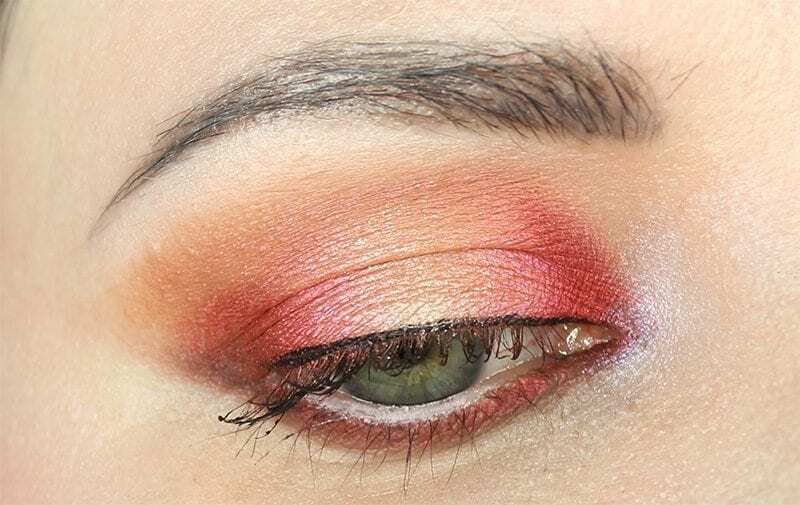 I created a red halo eye on my hooded eyes with this palette. I purchased this set the day it launched. 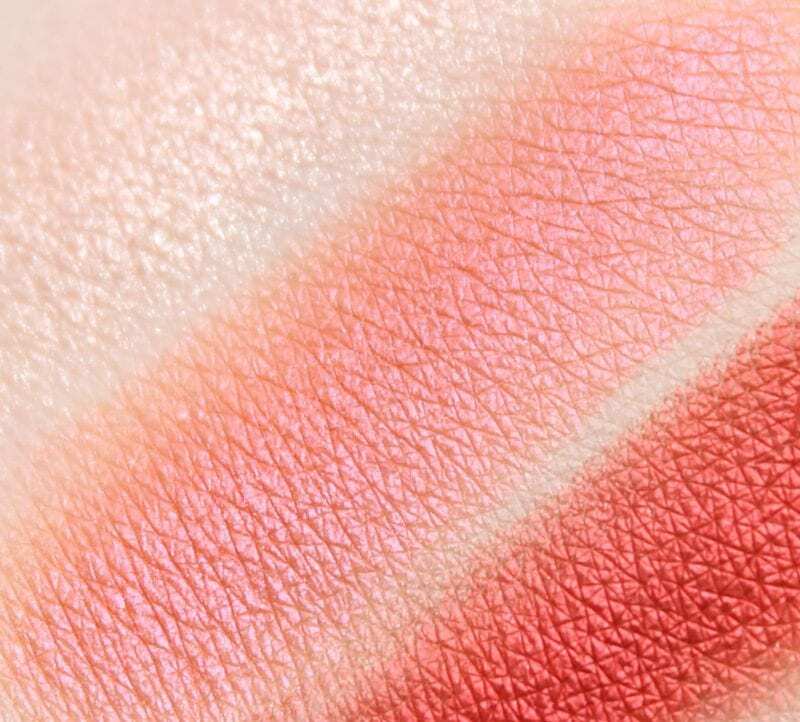 Wink -foiled soft baby pink champagne. 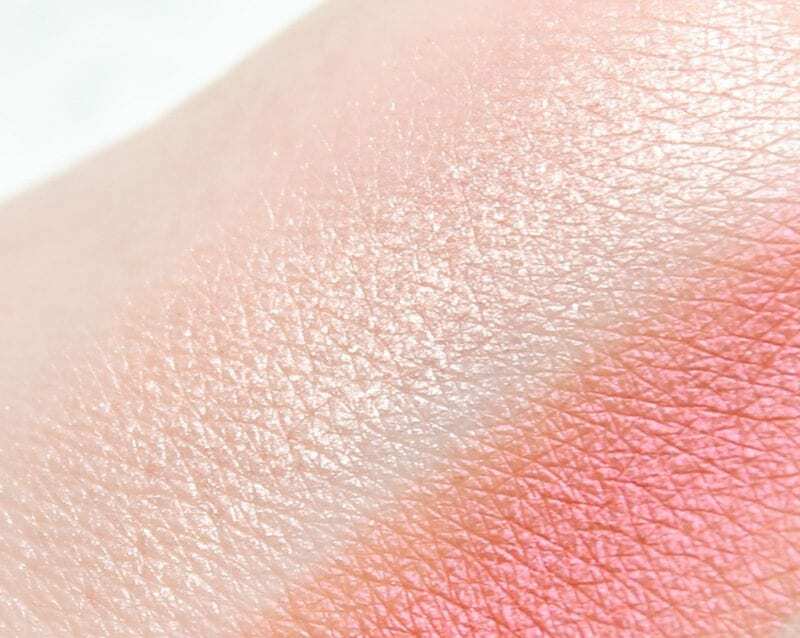 This is a pale champagne with pink shift. S.W.A.K. – foiled rose petal pink with gold duochrome, Sealed With a Kiss! This has an orange base with a rose pink layer and baby pink shift. 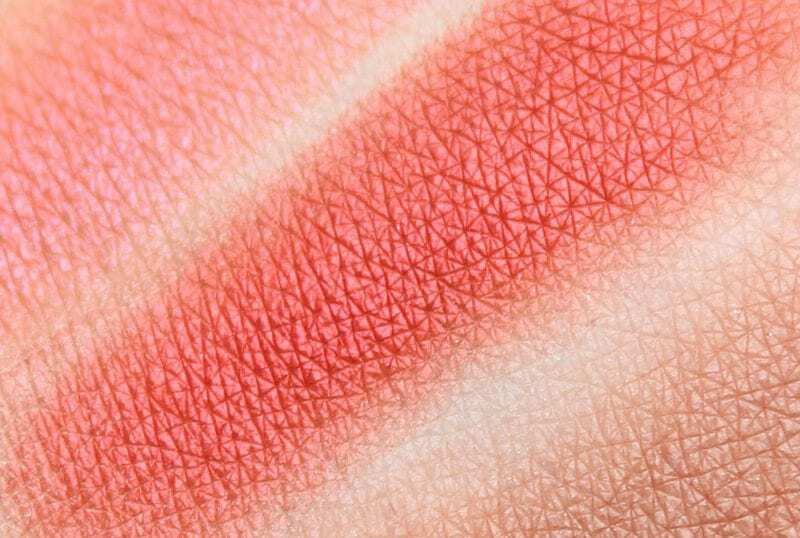 Kiss Kiss – vibrant, foiled red. 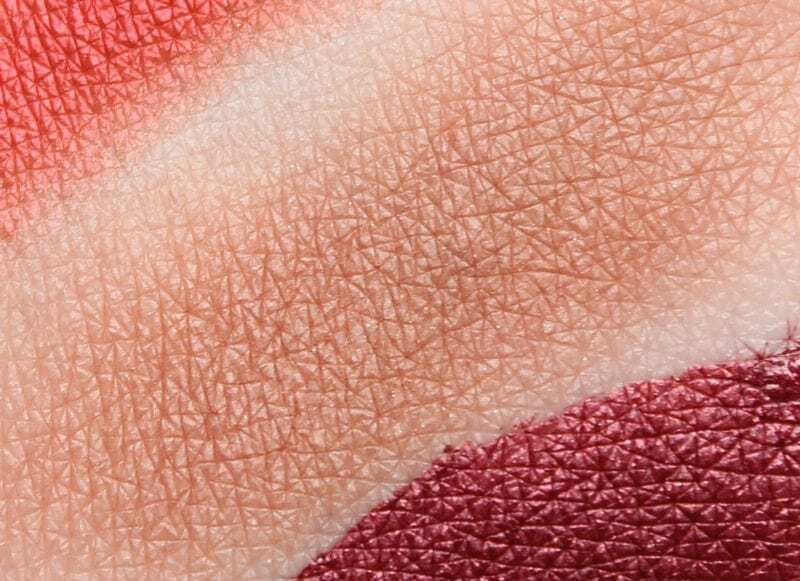 This is a metallic red with an orange undertone. It reminds me of Urban Decay Gash. Text Me – warm matte brown, the perfect transition shade. This is a nice soft brown matte. 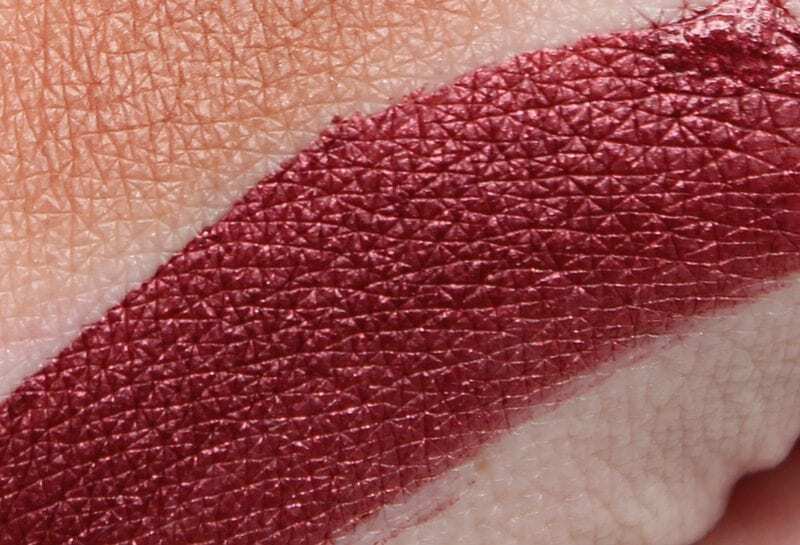 Strange Love – Deep metallic oxblood red with sparkle. LOVE THIS! It’s a beautiful deep metallic oxblood burgundy. I used UD Blackmail to outline the edges only, then applied Strange Love all over for the above lip look. 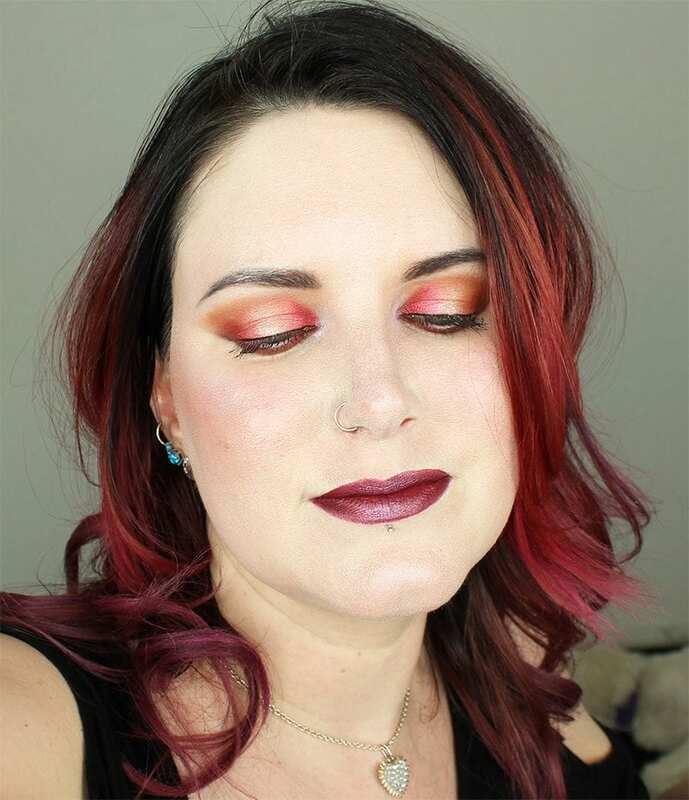 For this lip look I lined and filled in my lips with UD Hex. Then I applied Strange Love. 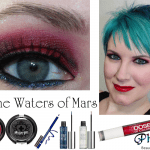 I finished by dabbing Makeup Geek Celestial to the center of my lips. If you find this review and tutorial helpful, please share! 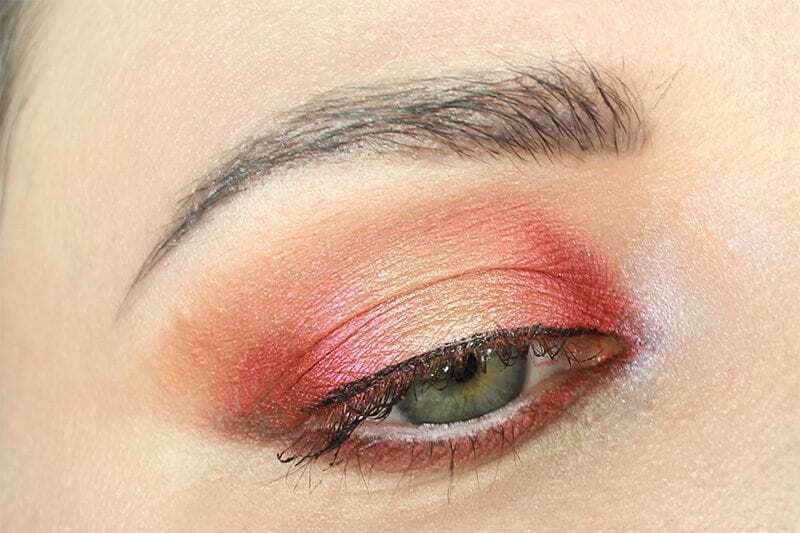 This red halo eye hooded eye tutorial is based off of yesterday’s look. I streamlined my application method and I love this improved version. The reds are more solid in it. I also deepened the lips and am in love with the final results. Strange Love looks so good with my skintone. 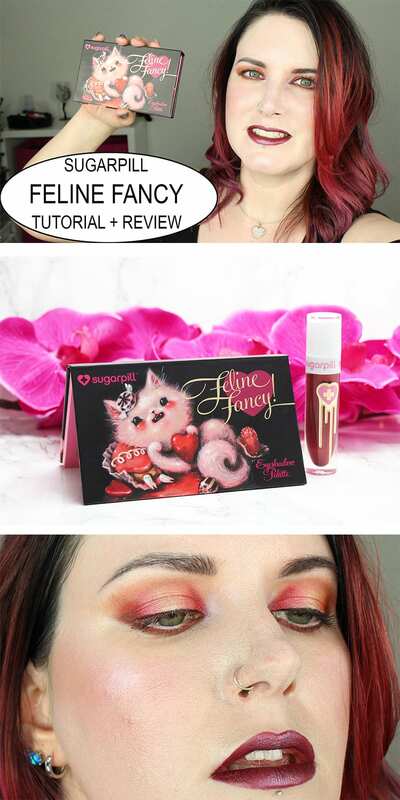 The Sugarpill Feline Fancy Makeup Collection is a great value for the price because Sugarpill eyeshadow singles are typically $13 for a single ($10 for a refill pan) and $18 for a liquid lipstick. 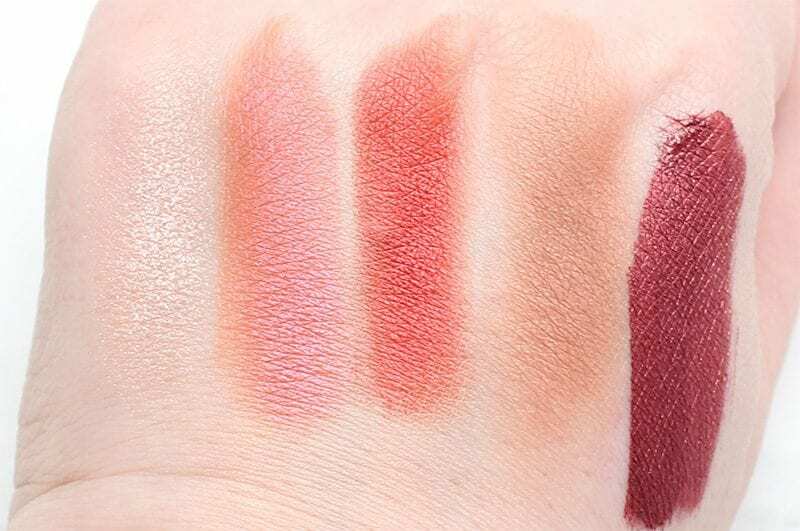 You’re getting 4 eyeshadows + a lipstick for less than the cost of 4 singles. What do you think of this set? Did you like the tutorial? Previous articleIs Stila Cruelty Free, Australia Bans Animal Testing? You look great! 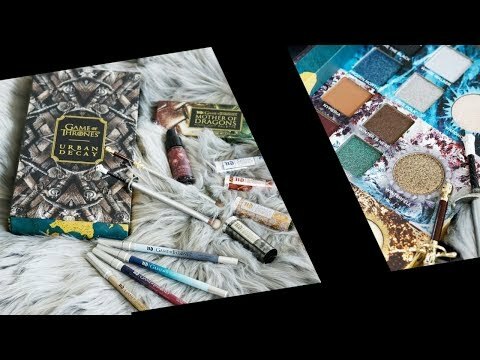 This palette isn’t something I’d gravitate towards, but you made me want it! Beautiful look! I NEED that metallic oxblood lipstick, like, yesterday! I regret not buying this set. I didn’t think I’d use the shadows that much but now I’m having second thoughts. I absolutely love the look of the lippie! The powder you’re wearing here is so, so bad. No offense, I think your blog is great, you’re beautiful, great at makeup & a wonderful reviewer, which was more surprising for me to see you’d wear such bad powder. It is caked up badly, especially around your nose. Hi! I’m not actually wearing powder here. 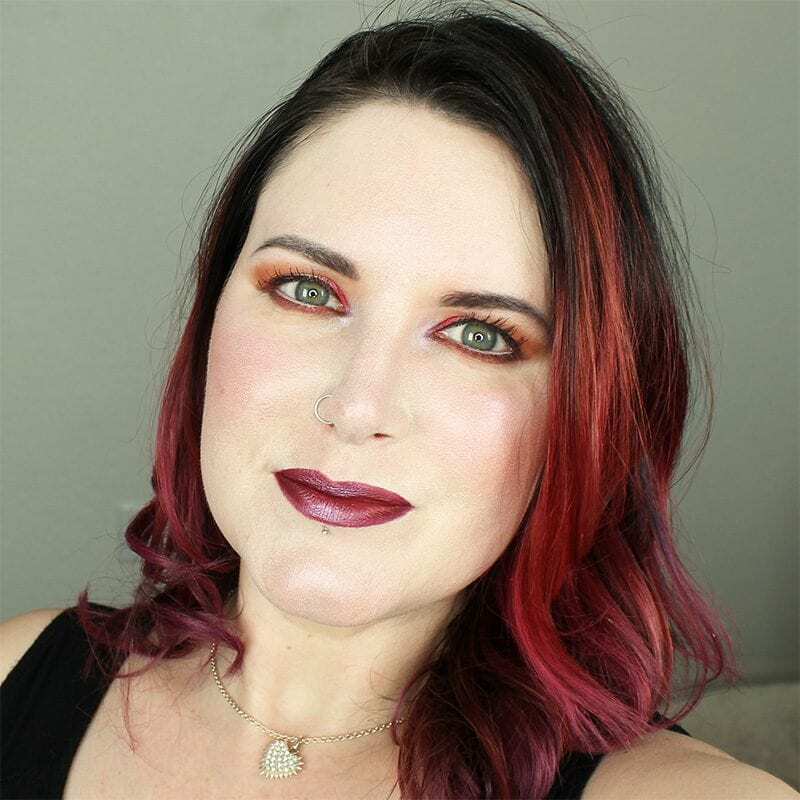 When I shot this video I tried applying the Nyx Total Cover Drops foundation (twice), which caused my rosacea to flare up. 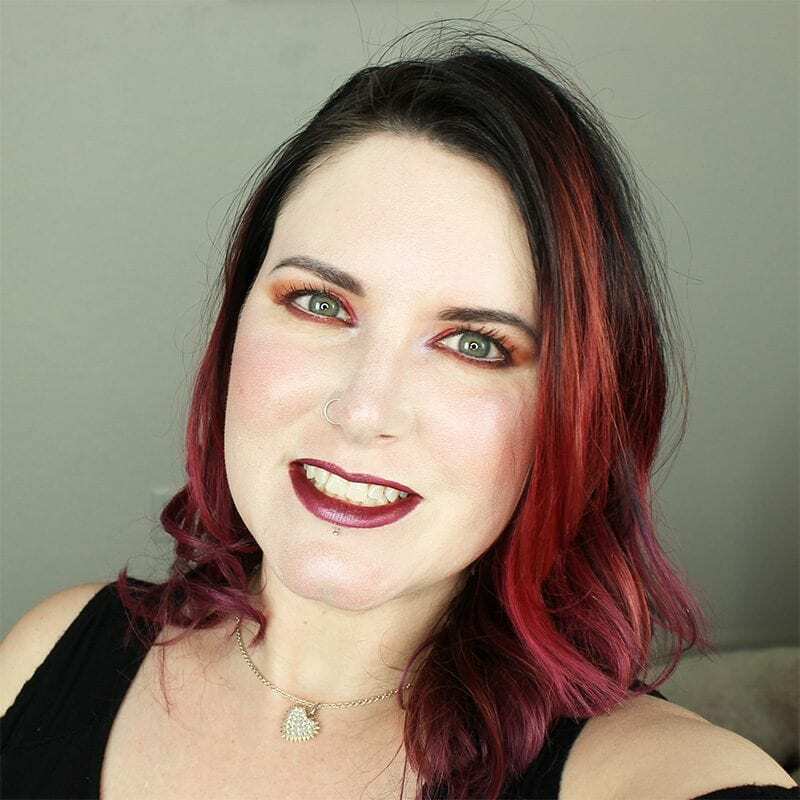 I tried putting IdunMinerals LIQUID foundation in Jorunn on it (which is typically hydrating and soothing), but my skin wasn’t having it. Since I wanted to finish shooting the video and write the post I just went with it. Going without foundation isn’t an option, especially when my entire face is red. 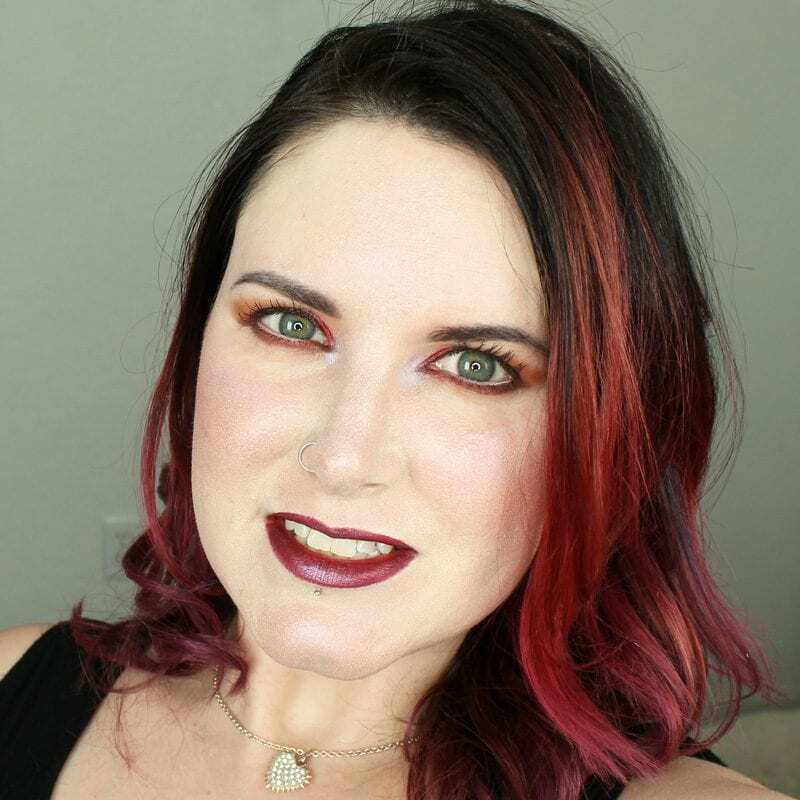 You can see how this foundation normally looks on me here http://phyrra.net/idun-minerals-norrsken-liquid-foundation-review.html . Rather than use photoshop filters to make my skin look perfect, I keep it as it is. Even though I watched you create the eye look I’m still amazed at how beautiful it is. I could never do that. The packaging is the cutest! 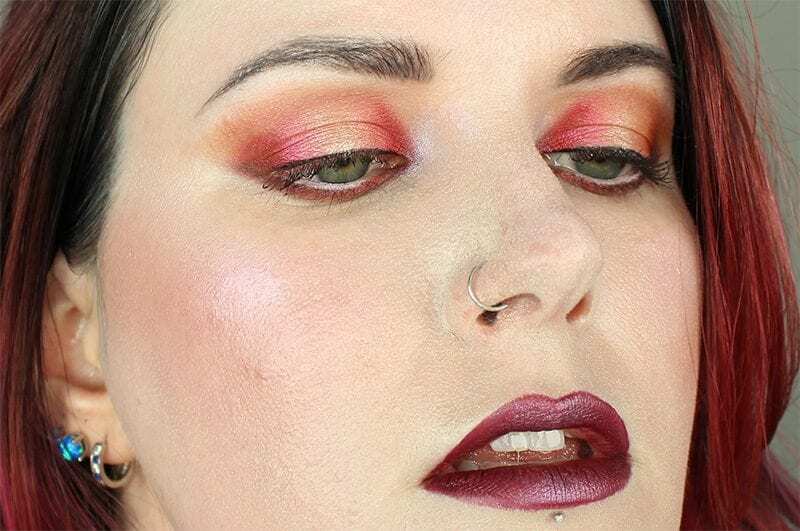 Sugarpill was one of my first pigmented loves. If I hadn’t just purchased Cozzette warms, I’d be so into this. This is so adores! I must have it! OMG YAY! It’s the beautiful look from the video!!!!! !